I think of myself as at least a tad bit worldly and well-traveled. So it came as a surprise to learn that Cape Cod is not one town. It is many towns, separated at the farthest ends by a two-hour drive. This would have been good to know, as I’d allotted one day to visit Cape Cod’s indie bookstores. I’d have to forgo Wellfleet and Provincetown, and stretch just as far as Chatham and Brewster. In my defense, this was an easy mistake to make. I’m an L.A. kid, descended from Eastern European Jews who did not build houses on the Cape in the 1900’s to pass down to me. (And those Cape Cod t-shirts do give off the “it’s-one-place” impression.) For me, summer meant day camps called Cali Camp and Tumbleweeds, and sleep away camps were in Malibu and Big Bear. Family weekends might be on Catalina or Coronado Island, not Nantucket or Martha’s Vineyard (yes, I’ve now learned the difference between them, too). 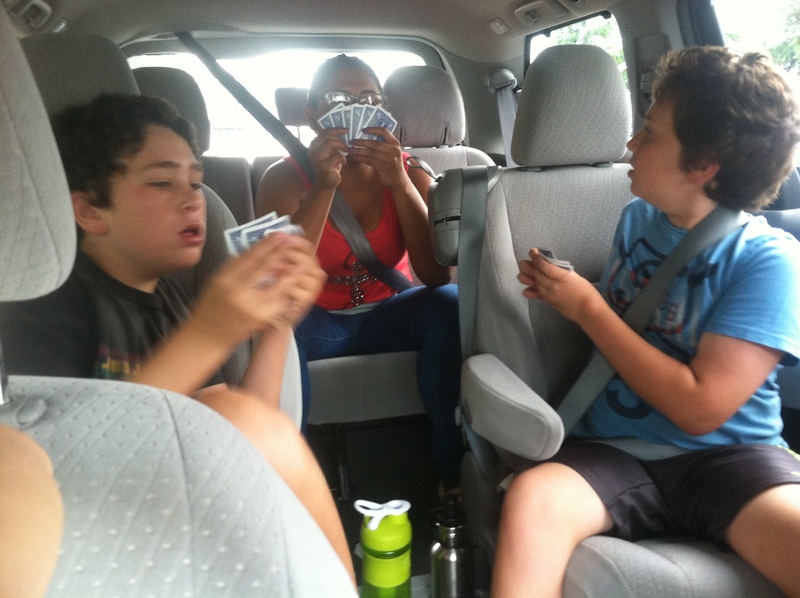 So we picked two stores, in Chatham and Brewster, and set out toward Chatham first. We missed a turn and ended up rerouted north. No problem! We’d go first to Brewster. Except we missed the road to Brewster, which forced us to backtrack through a town we hadn’t planned to visit, Orleans. Great news. Orleans has two bookstores. Main Street Books in Orleans. 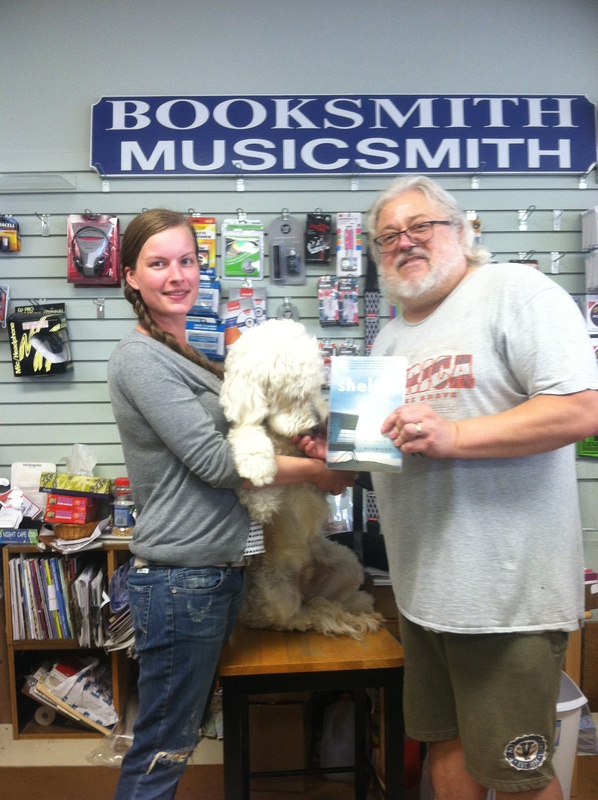 Erin, Lady, and Matt at Booksmith Musicsmith in Orleans. 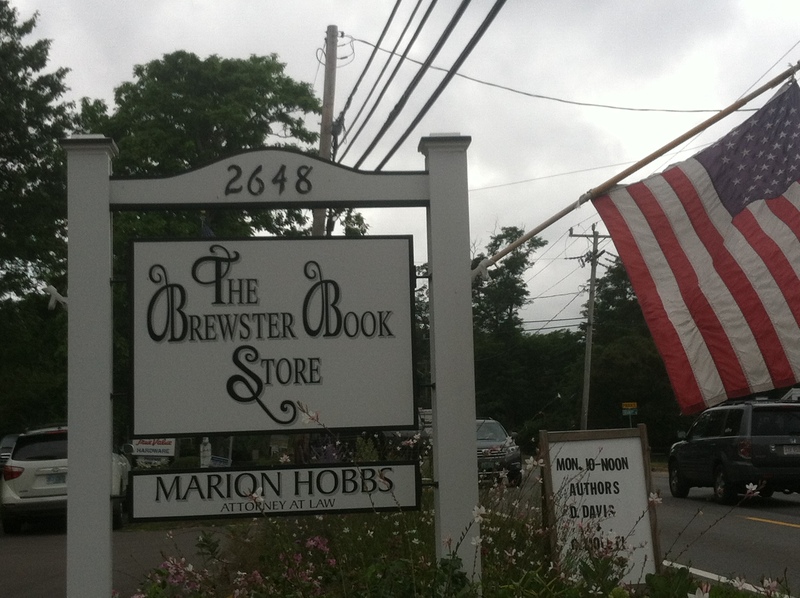 We finally arrived at Brewster Bookstore. It was packed with customers, and its summer event schedule was packed, too, with 8 author events in July, and 7 in August, including Alice Hoffman. Books and your local lawyer all at one place. 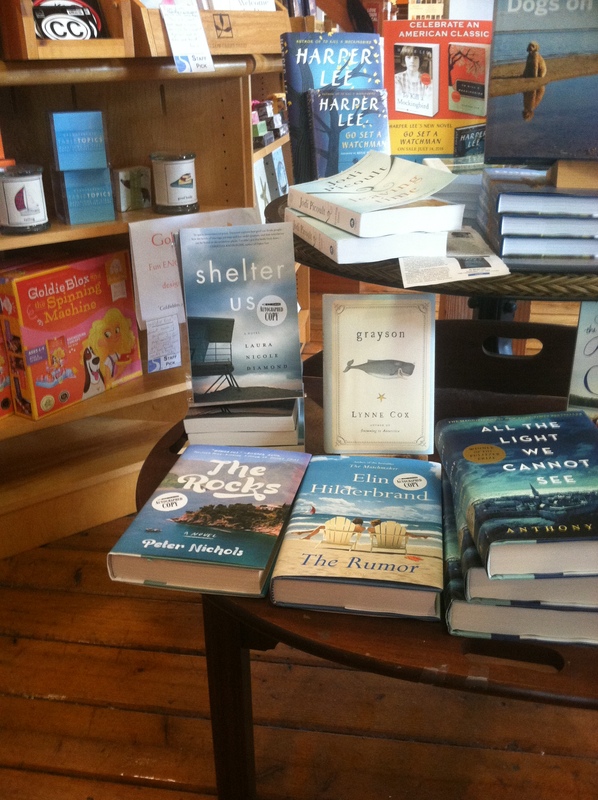 After lunch, we headed to Chatham, whose Where the Sidewalk Ends bookstore plans a drool-worthy summer of author literary events. 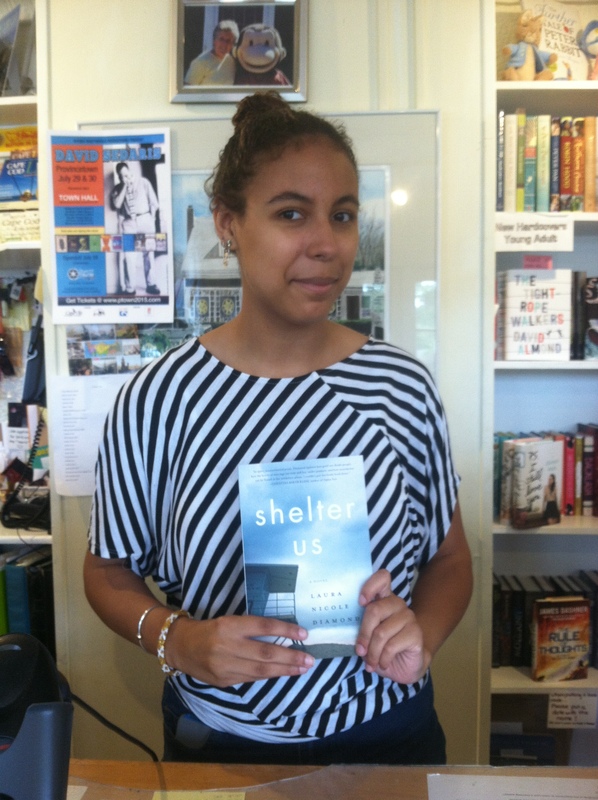 Walking in, we were greeted by a vision fitting the final stop: on the front table of the store, Shelter Us shared space with Harper Lee and Anthony Doerr. Be still my heart. 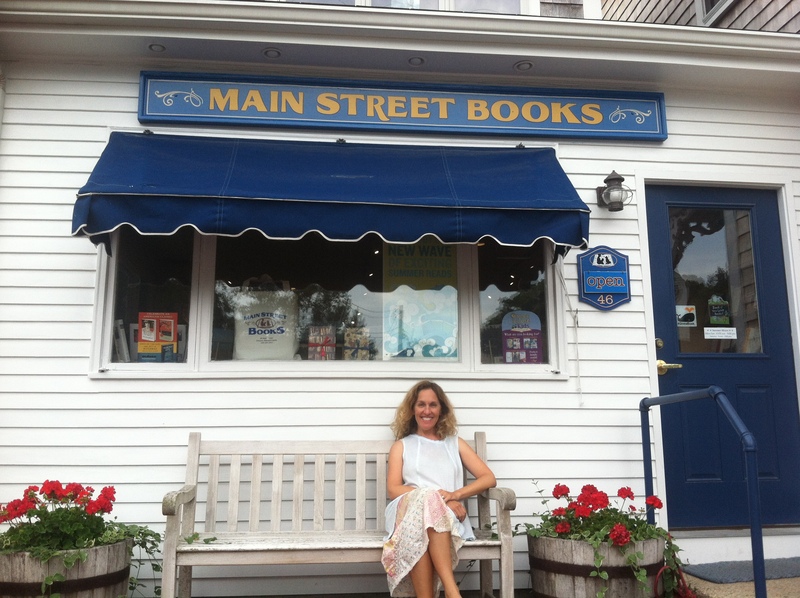 A “pinch me” moment at Where the Sidewalk Ends bookstore in Chatham, Mass. 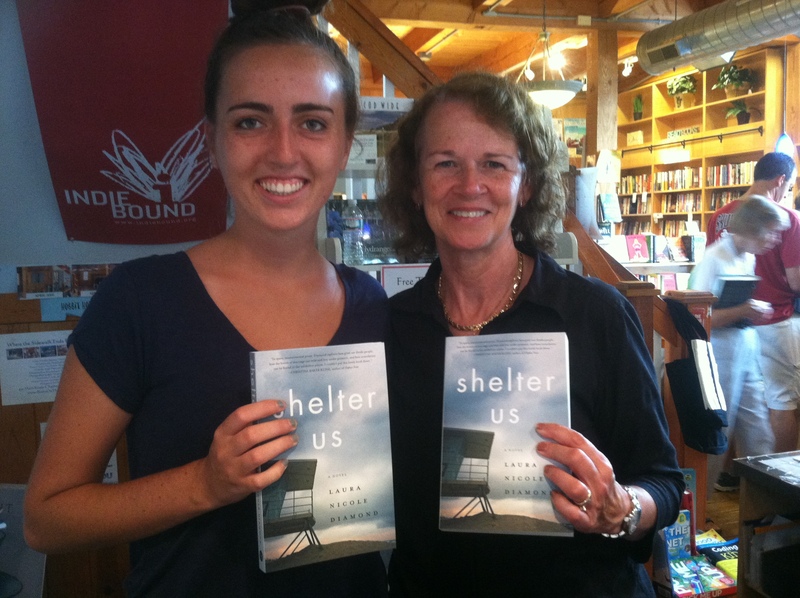 Nina and store owner Joanne took a moment away from helping their many customers to pose with Shelter Us. We had completed the task. After another hour’s ride, back in our rented house, the kids wanted nothing more than to be left alone to (and with) their own devices. But it was our last night on Cape Cod, the sun had come out, and we were going to get some fresh air or else. We had to scream to get them out the door, and it was worth it. We swam (even me). We played soccer (even me). We felt the delicious breath of salt air on our skin. We looked over a landscape so different from our California beaches, vibrant green marshes growing out of the sand, inlets of saltwater stretching toward scrub pines. I felt the tiniest bit more familiar with this place called Cape Cod, knowing well I had only scratched its surface.